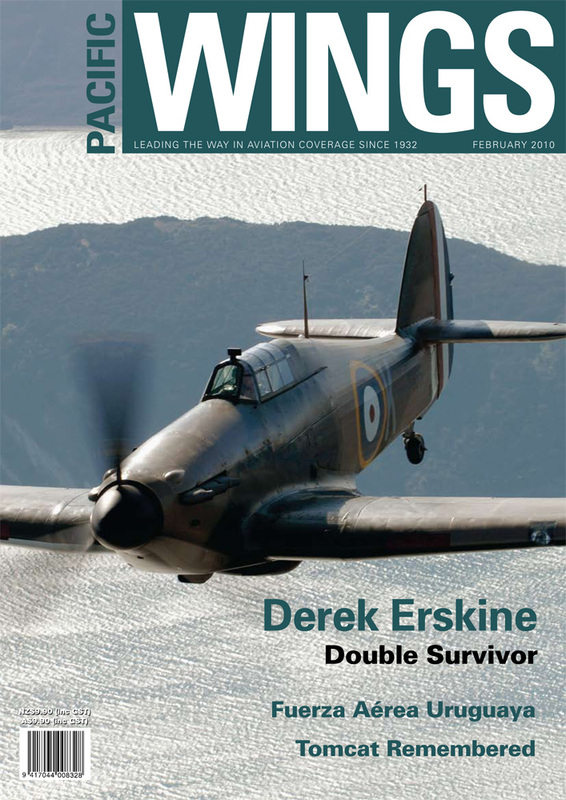 In this first part of a two-part feature, Rob Neil relates the story of Derek Erskine’s RAF service in World War Two. One of very few of “the few” still alive today, Derek also survived a second hazardous aviation career as an early topdressing pilot. Aircraft recovery missions are Mark Sheppard’s speciality. In this issue, Mark describes the wartime history and subsequent recent recovery of a Grumman F6F-3 Hellcat from Lake Michigan. In 2006, Pacific Wings’ UK correspondent, Peter Cooper, was extremely lucky to join VF-31 and VF-213 aboard the USS Theodore Roosevelt for the final carrier training missions undertaken by the remarkable Grumman Tomcat. Wellington-based writer and photographer Erik Roelofs travelled to Uruguay last year, where he and fellow writer/photographer Paul van den Hurk spent time with the Uruguayan Air Force. In another poignant “Letter from War”, Don Harward speaks from a soldier’s heart about two dark days in Afghanistan.